Unfortunately, the Greek restaurant we had here in town closed down, and even though there are a few places that serve gyros still, I decided to keep working on my own version at home. 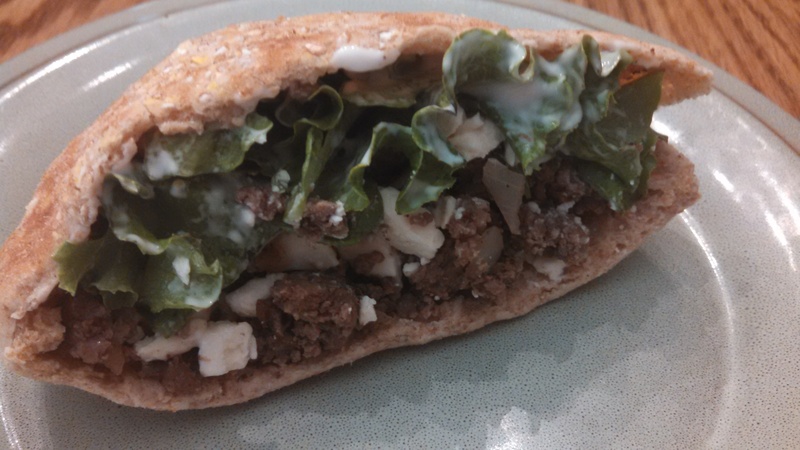 I have made Gyros Burgers before, but wanted to try it as more of a meatloaf than burgers so it could be sliced and put in pita pockets. 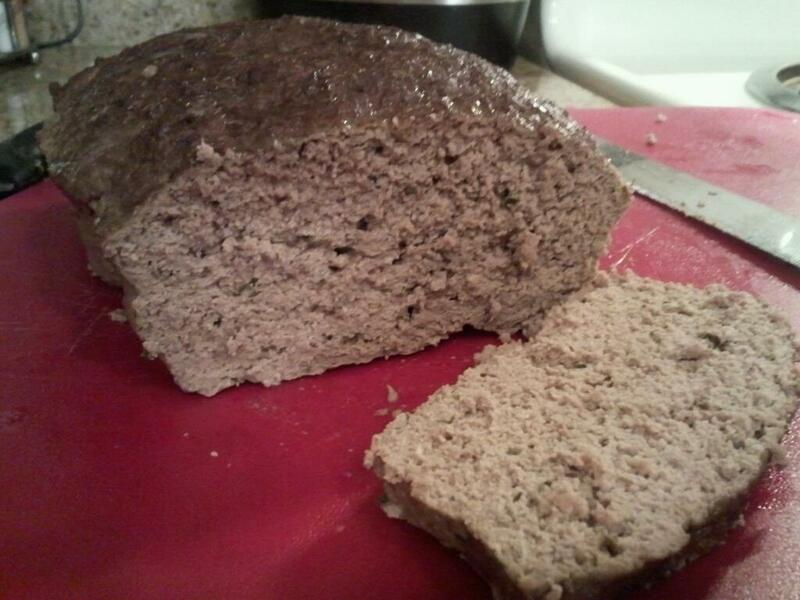 Now, the downside to meatloaf is that it takes a while to cook without getting too dry. So, now, when I have time I can do meatloaf, if I’m pressed for time, I can do burgers. 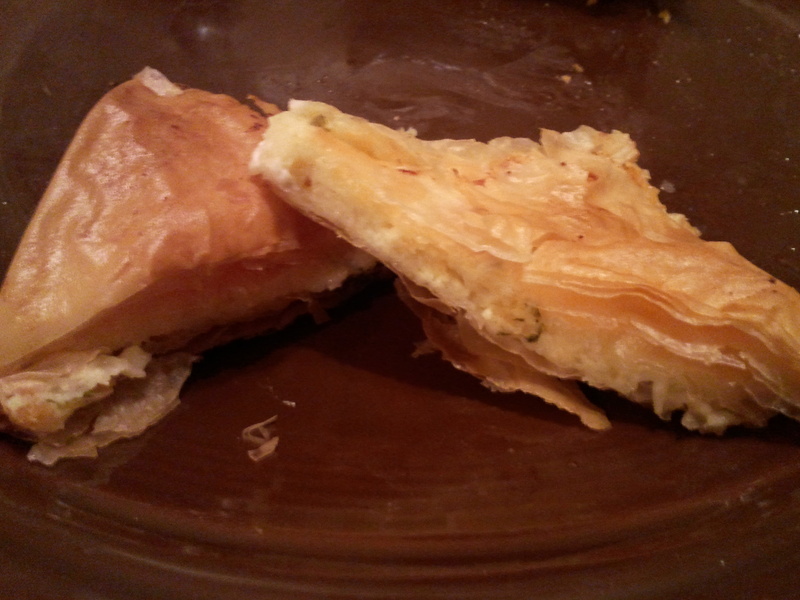 I also made tzatziki for the first time tonight to go with this. It was perfect! My husband is usually not a fan when we get gyros when eating out. He says it’s too messy, but this was thicker, more dip-like, so it wasn’t dripping all over when eating it. 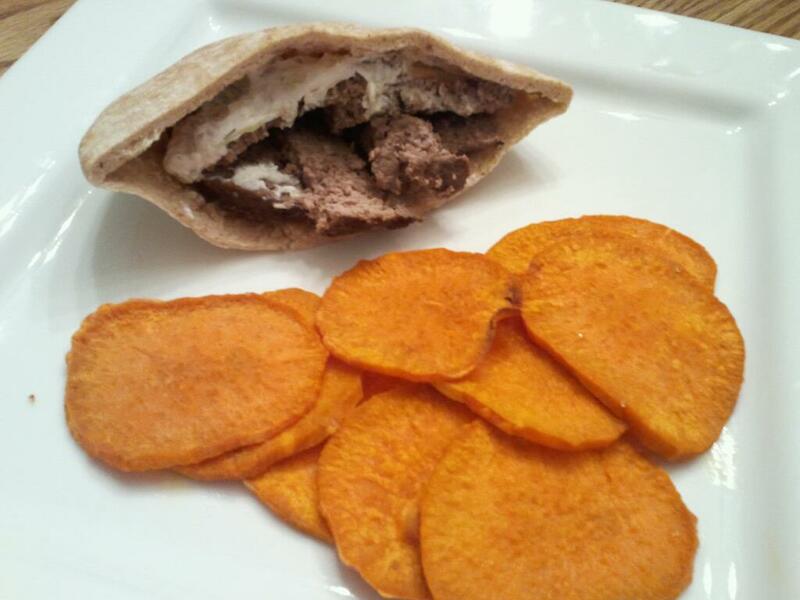 Tonight, I served it with Sweet Potato Chips, which were a nice compliment to the gyros. Put the onion in a food processor for a few seconds. Remove into paper towels and squeeze out excess liquid. Place onions in a mixing bowl, and stir in remaining meatloaf ingredients. Cover and refrigerate for 1 hour. Put the meat mixture back into the food processor and process for about a minute or until mixture becomes like a fine paste. 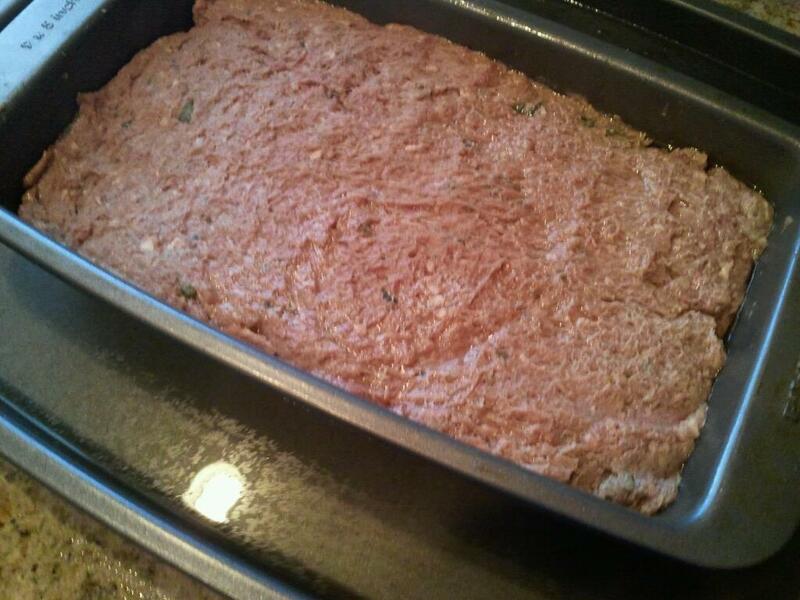 Press meat mixture into a 9 x 5 loaf pan, making sure there are no air pockets. Place loaf pan in a larger roasting pan, and pour boiling water into the roasting pan until there is enough to reach the middle of the side of the loaf pan, creating a water bath for baking. Carefully place in oven and bake in the preheated oven for 60-70 minutes, or until meat reaches an internal temperature of 170 F. Pour out any excess fat, and slice thinly to serve. 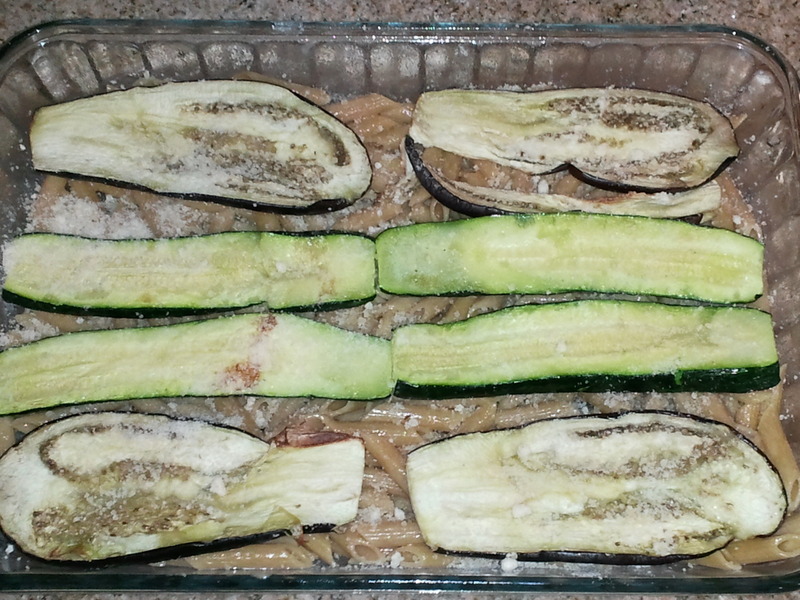 While meatloaf is baking, grate the peeled cucumber and squeeze out the excess liquid. 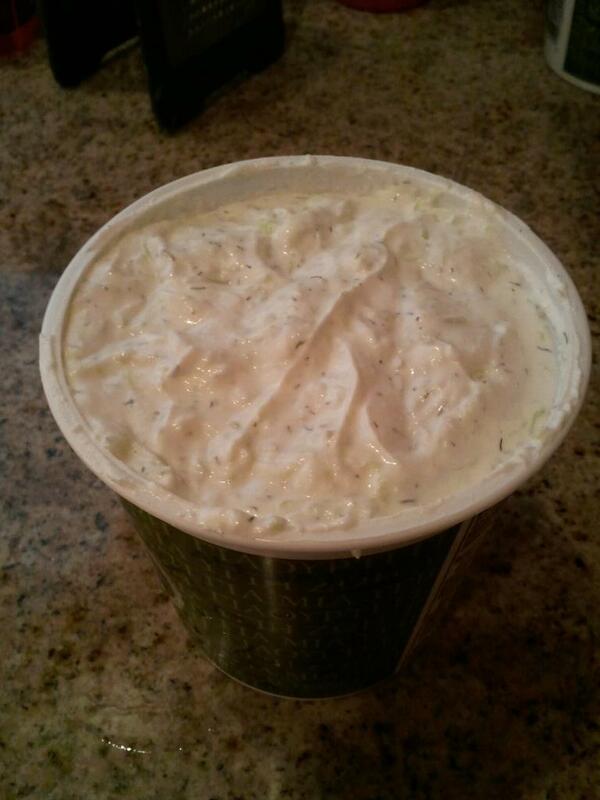 Put in a mixing bowl and stir in remaining tzatziki ingredients. Put in a container and keep refrigerated until ready to use (I just returned it to the container the Greek yogurt came in). 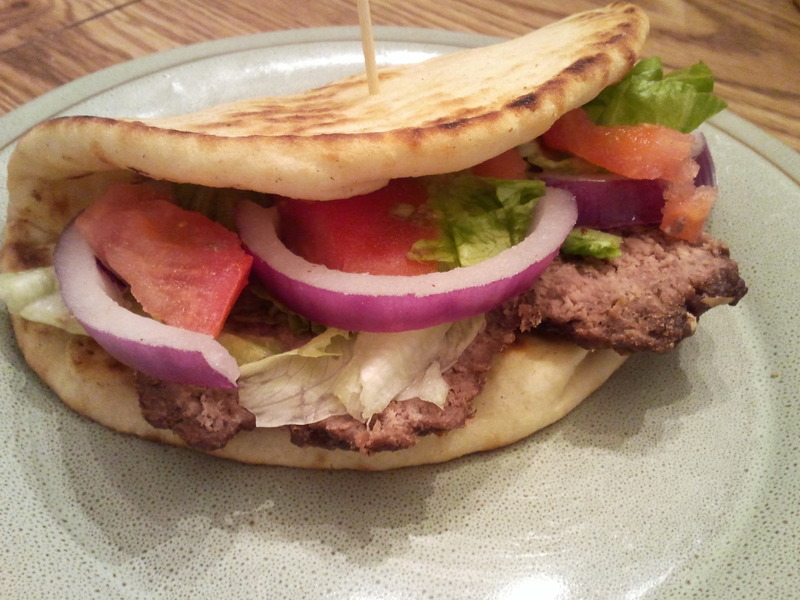 Serve with the gyros meatloaf in pita bread with lettuce, tomato, and red onion, if desired. I love, love, love gyros, but lamb can be rather expensive and difficult to find. 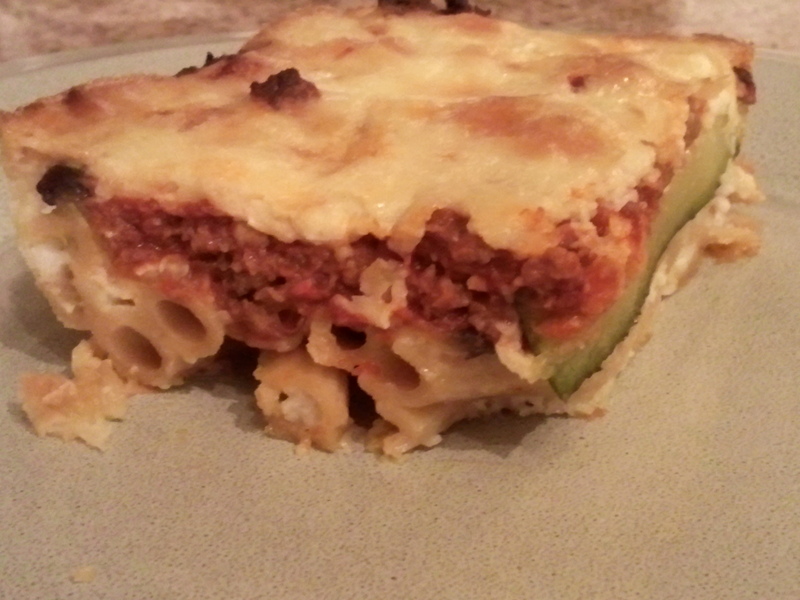 So, I usually just use ground beef instead, and it still tastes great. I shape the meat into patties and grill them. Since I didn’t get them as thin as I wanted, I cut the burgers in half lengthwise to be thinner in the pita and to better simulate the gyros meat at restaurants. Now, my brother and his wife did this a little different. Instead of making patties to grill, they put it in a loaf pan and cooked it in the oven, I think at 325 F for about an hour. 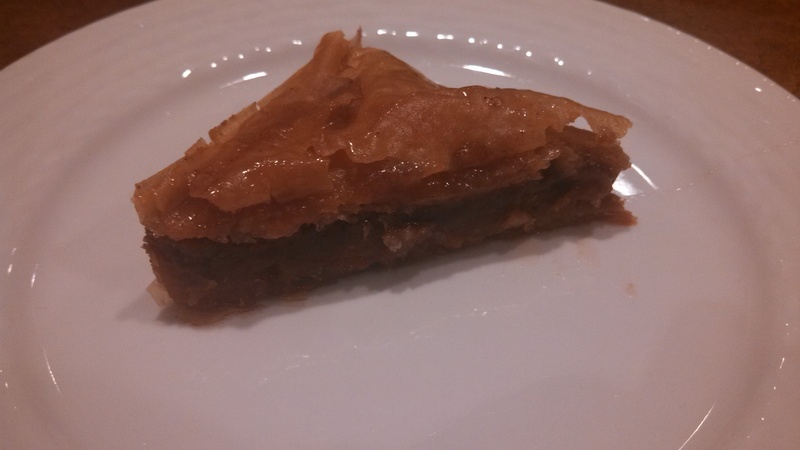 Then, the sliced the loaf thinly, again, like gyros meat is in the restaurants. Some day, I will figure out how to make my own pita, but for now, I buy it. I added lettuce, tomato, and red onion, and I was wishing I had made tzatziki to go with it, but I didn’t have Greek yogurt to make it. So, we used ranch dressing instead. This was a great dinner, and I hope that I think to make it again soon since it was a long time in between the last times I made it! Preheat grill to medium-high heat, and spray the grate with non-stick spray. In large bowl, combine ground beef/lamb, onion, and bread crumbs. Add savory, allspice, garlic salt, pepper, and cumin. Combine well and shape into 4 very thin patties. 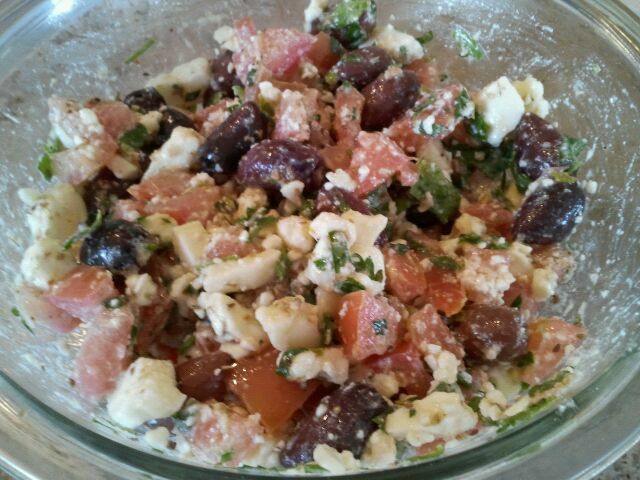 Serve with pita bread, lettuce, red onion, tomato, and tzatziki. It has been a LONG time since I have had this soup. I hadn’t actually made this soup until now. When I was making the chicken broth, my uncle commented on Facebook that when my grandmother was cooking chicken broth on the stove in the morning, he knew they were having Avgolemono Soup for dinner that night! That was my motivation to finally make it. The ingredient list is short, but it does require a little time and attention while making it. The results are worth it, I promise! If you want, you can add some cooked, shredded chicken to this to make it more of a meal. I made it without. Bring broth to boil. Add rice or orzo. Cover, reduce heat and simmer for 20 minutes. Meanwhile, squeeze lemon and mix with egg in a bowl. When rice is done cooking, remove from stove. Using a ladle, add a small amount of hot broth very slowly to the egg-lemon mix while constantly stirring the egg-lemon mix with a wisk or mixer. Continue doing this with about half the broth and then reverse the process; use your ladle to slowly add this mix back into the remaining broth. When this process is complete your soup should look frothy. 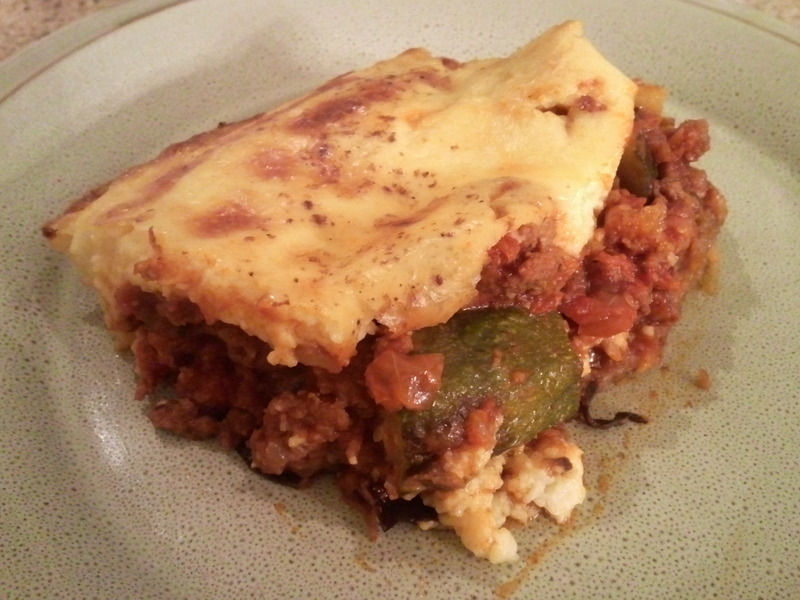 Return it to the stove to heat back up to serving temp–But don’t let it boil! What you are making is called a suspension. The soup looks creamy, but it is actually comprised of tiny globs of egg suspended in the broth. The cooling process used to create the suspension is called tempering. 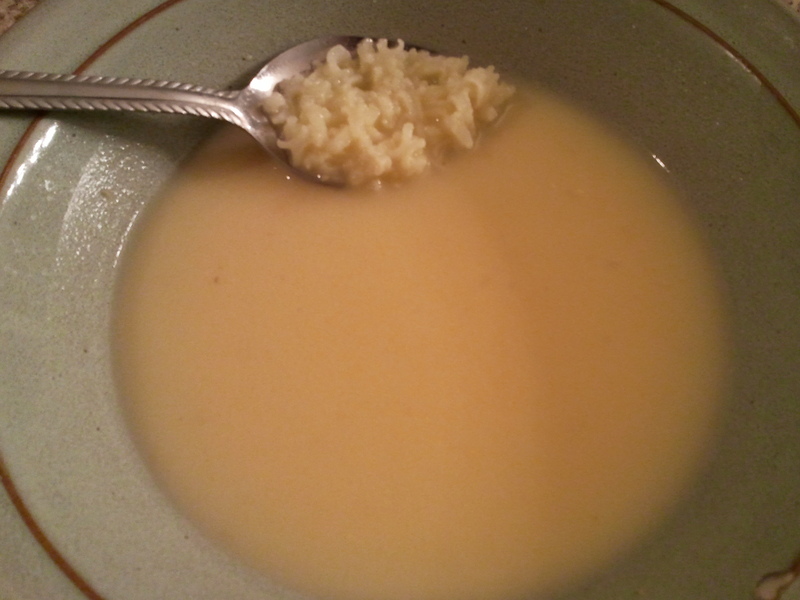 If you just dumped the egg into the hot broth it would cook too fast to suspend (you end up with egg-drop soup). You don’t ever want to boil the soup because that will cook the egg too much and cause it to separate from the broth. This happens also when you reheat the soup. It never looks as good as it does on the first serving. 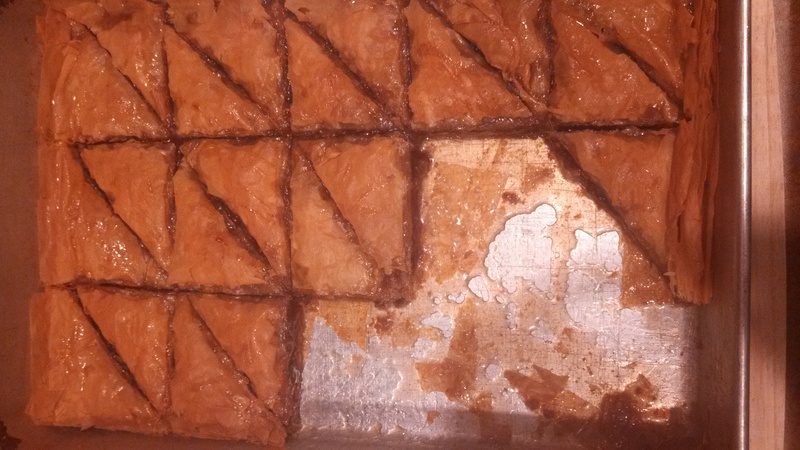 This is a recipe I got from my Papou, and he had gotten it from a magazine, but I can’t remember which one anymore. The recipe was actually Greek Salsa Chicken, this salsa served over lemon chicken and roasted potatoes. 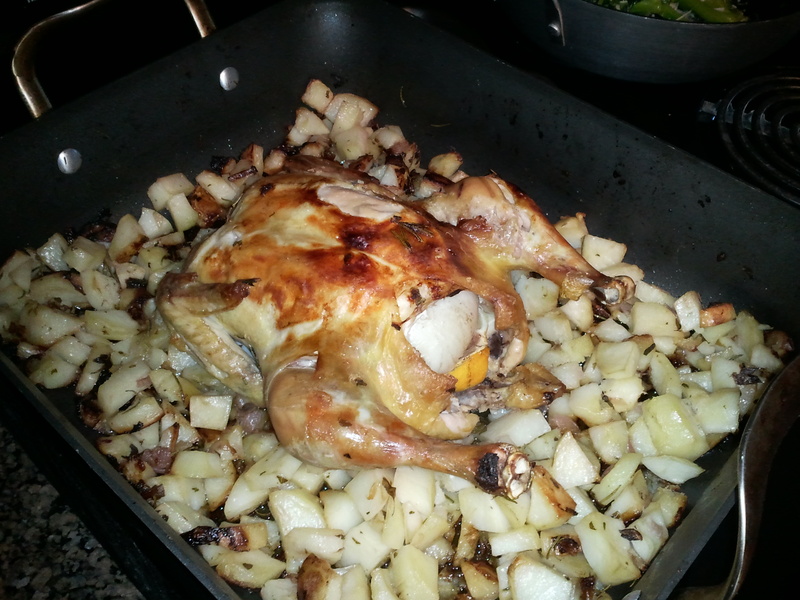 Normally, I serve it with Lemon Herb Chicken and roasted potatoes that I’ve cooked separately. 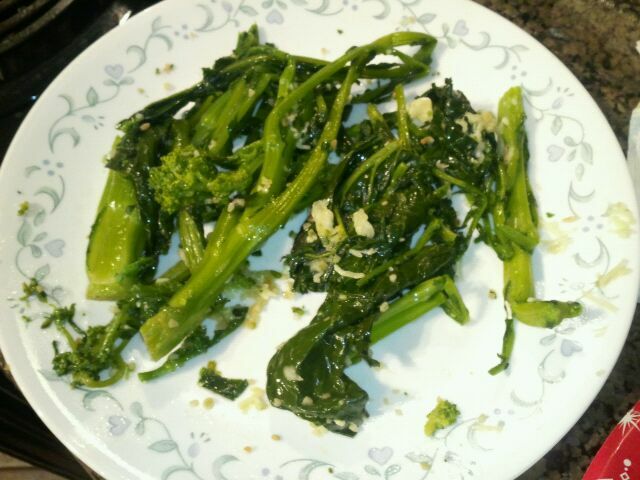 But, I thought it would be the perfect addition to the Kotopoulo Lemonato we had for dinner tonight! I was right!